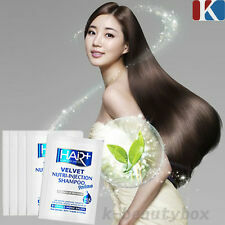 Hair VELVET NUTRI-INJECTION Phyto Protein Shampoo. After showering the hair, use Hair 's Velvet Nutri-Injection Shampoo and clean it up. If needed, Repeat once more. Huydroilzed collagen, slastin, keratin, soy, wheat, rice proteins, silk powder, panthenol, extract of milk protein, silkworm cocoon extract. Model: Kerasys. United Kingdom, United States and Canada. Elastine MAXIMIZING HEALING CARE. Marine Collagen of the sea. Elasticity strengthening Healing care. Lipid component similar to hair lipid. - Manufacturer: LG Household and Health Care, Korea. After shampooing, lightly remove the water and apply it to scalp and hair.Massage thoroughly and rinse thoroughly with lukewarm water. [the SAEM] Silk Hair Hair Loss Care Shampoo. 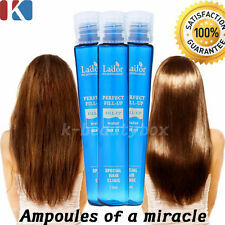 Hair Loss Care Shampoo which gives strength to hair and manages it more firmly. Thoroughly apply an appropriate amount to hair and scalp, bubble out and rinse thoroughly with water. For dry and rough hair. Lipid component similar to hair lipid. - Manufacturer: LG household and Health Care, Korea. Shea Butter: highly concentrated nutrition care. Lipid component similar to hair lipid. Highly concentrated nutrition Glossy care. - Manufacturer: LG household and Health Care, Korea. [ARITAUM] Angeling Care Hair Ampoule. Gently massage promote hair uncovered absorb the essence. hair tied into one. (Short hair can also be used). The film opens hair, put hair conditioner film. Polygonum extract, mulberry yellow extract, angelica extract, peony extract, skullcap extract. Massage and rinse thoroughly with water. After thoroughly soaking the hair and scalp with hot water, apply an appropriate amount evenly to the hair and scalp. 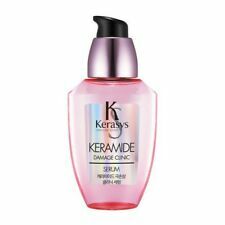 600ml KERASYS QUICK DRY CLINIC CONDITIONER. Capacity : 600ml. Korean Hair Beauty Care. Quantity: 1 Pc. Australia, South East Asia.